With more than 500 peptide candidates waiting for pre-clinical development, the world is watching closely to learn more about how peptides can benefit health. So far, we know that by supplementing the body’s natural supply of peptides, we can treat hypertension, boost fat burning, and even help with wound healing. Another incredible benefit is related to your hair. If you struggle with thinning hair, male pattern baldness, or constant breakage, peptides could be the solution you’ve been searching for. According to the latest research, copper peptides have a dramatic impact on hair follicles and naturally stimulate the dermal papilla cells. There have even been other studies that have shown that this peptide can help to enlarge the hair follicles, giving you thicker locks and more volume. Many people seek out peptides as a treatment for hair loss. 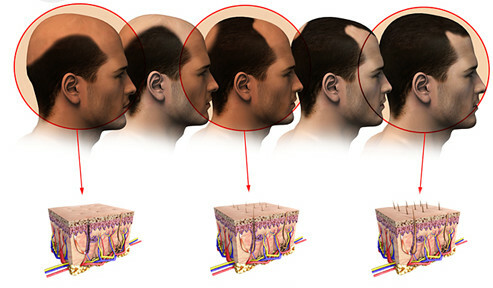 Some forms of hair loss are caused by genetics, but others are a result of your body’s nutrient depletion. 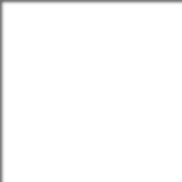 Some professionals have reported that they believe that copper ions will stop the production of DHT. This is the major reason for hair loss related to genetics. By taking copper peptides, you can stop hair loss and even reverse it. The copper peptide will be very effective at helping increase the number of blood capillaries and carrying those vital nutrients straight to your hair follicles to prevent future hair loss. Research shows that copper peptides will impact the look and feel of your hair. It is not only beneficial for decreasing hair loss, it is also going to make your hair look fuller and increase the volume that it has. Some research has even shown that this benefit could be seen in as little as two weeks if the copper peptide is used on a regular basis. How many people really understand the damage that can be done to their hair because of the sun? When you spend hours out in the sun each day you could be damaging the color and health of your hair. That means that you will not have the shine to your hair that you once did. However, if you are willing to use copper peptide you may find that your hair will begin to look better. Peptide supplements act as natural antioxidants and help hair renew its shine and luster. This could even be very effective at reducing breakage when you brush your hair, or when you pull it back. There are certainly a number of hair products on the market that will promise you a number of benefits that they may not be able to deliver. Try searching for products that contain copper peptide because they have been clinically proven as an effective option for real, lasting hair health. If you are struggling with male pattern baldness, loose ends, or dull, limp hair, start your search for new hair products that contain copper peptides. Ask your hair stylist for recommendations or shop for these specialty formulas online. Pretty soon, your beautiful new hair will be your best asset. It seems that most people want a quick fix or a pill to help them feel better or improve the way that they look. In 2016, the world is turning to peptides for that magical cure. There are currently 60 medications containing peptides that are approved for human use and they are prescribed for a variety of medical issues ranging from cancer to high blood pressure to acne. While no one can deny that peptides work, they can also be quite expensive. But, what if you were able to receive the same amazing benefits without taking supplements? While peptide research does show that they can be very effective, there are definitely things that you can do on your own to help your body naturally increase peptide production. 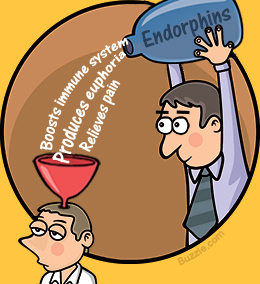 Endorphins are actually peptide hormones that will occur naturally in your body and offer many benefits. They are actually found in the brain and they can decrease pain and help to increase your mood. Instead of popping pills to make yourself feel that peptide high, you may be able to get the same effects on your own naturally. Start by taking time to exercise. It will be very important for you to put a lot of effort and energy into the exercises that you are doing. There have been a number of athletes that have spoken about having a runner’s high as they work out. This is because endorphins are produced and sent through your body naturally while you are exercising. If you are able to work past your limitations you may have a very powerful feeling that is actually euphoric in nature. Some people will take muscle relaxers as a way to relax and calm down. Some will even use these to get through pain. However, there has been some research to show that listening to calming music for roughly 30 minutes can increase peptide hormones in your body and give you the same effects. All you have to do is spend some time tuning out the world around you and listening to relaxing music. How often do you get outside? Being in the sun can increase the number of endorphins in your body and give you a big boost of vitamin D. This is a very easy way to improve your mood. All you have to do is go outside and get some sun. You will feel much better. You could really increase your mood if you sit in the sun and listen to calming music for 30 minutes. Peptide supplements can be very effective when it comes to helping with oncology issues, cardiovascular complications, and even infectious diseases. They certainly do have a purpose. There are also hundreds more that are yet to be evaluated and put through clinical trials. But, that does not mean that you cannot take control of your life and boost your mood on your own in the mean time. It may take time for peptides to be available in oral forms. Therefore, taking matters into your own hands, and controlling your mood in natural ways may be a great idea. These options can really improve the way that you live your life.